#264E from Washington, NC to New Holland, NC. Turn right on #94N toward Fairfield, NC. Photo wes taken from highway #94 crossing Mattameskeet Lake. 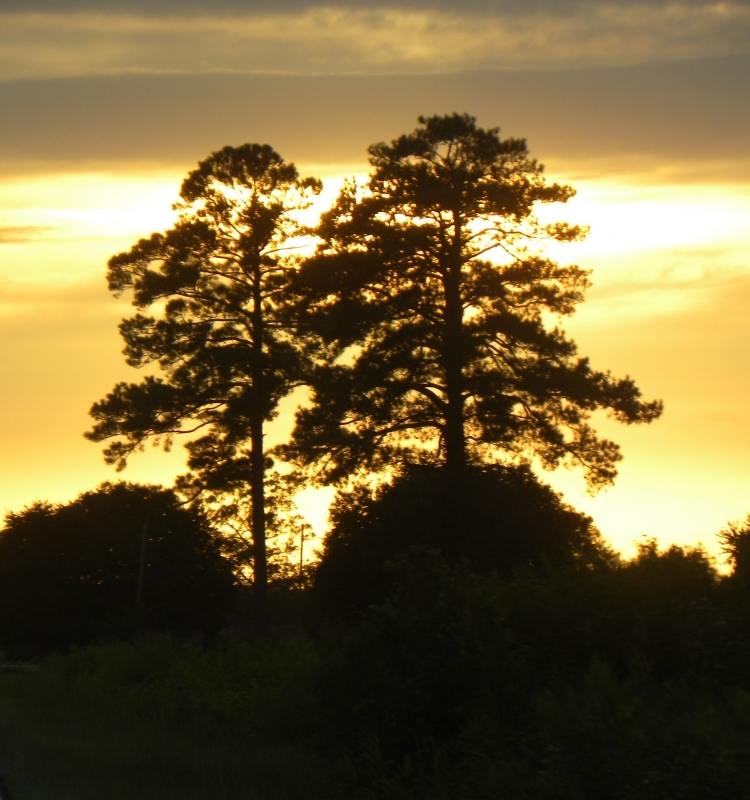 Pine trees silhouetted in the evening sunset.